i have more youtube guests that i could fit on screen. it seems that everyone acts like a rabbit when putting a carrot in front, for ROSE’S heavenly CAKES: Classic Carrot Cake (page 122). therefore, to keep everyone busy, i will organized my kitchen where 2 or 3 children will be the stars, and 2 or 3 adults will be the carrot shredders. to make the job of the carrot shredders as efficient as possible, i will provide a complete assortment of Microplane Graters. 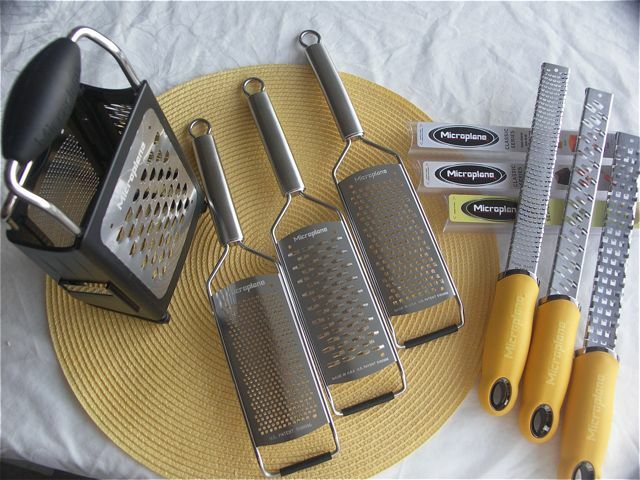 i’ve got full sets for fine, medium ribbon, coarse, and extra coarse sizes, on both classic handle (yellow of course), professional all-metal handle, and as box grater! which size do you think is ideal to shred carrots for this recipe? 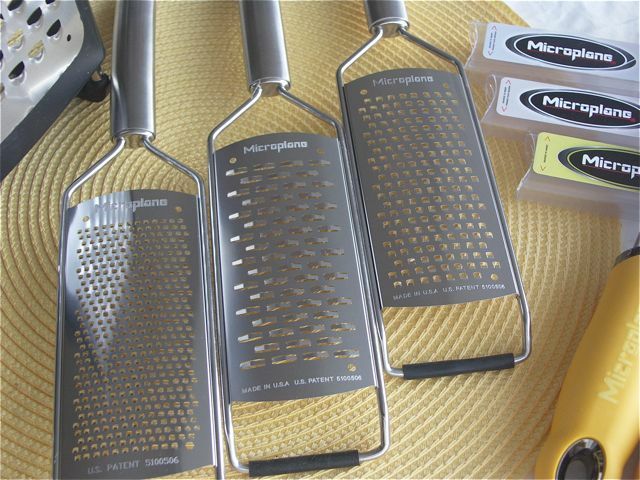 Hector that is a superb collection of microplane graters. Paul, I will find good use for the microplanes and for the adults! Aha! Let’s see, which of the Microplanes would a master carrot-shredder employ? I think the large grater is too easy a choice, the micoplane on the right? Nope, I think I will choose the middle larger micrograter? Hi Hector – Now I have ordered the Waring Induction Stove, thanks to you! – You like your 6 qt. bowl bec it has no ‘foot’ to interfere with the heat to the bowl. I only have the Artisan 5 qt. bowl. Have you tried that? 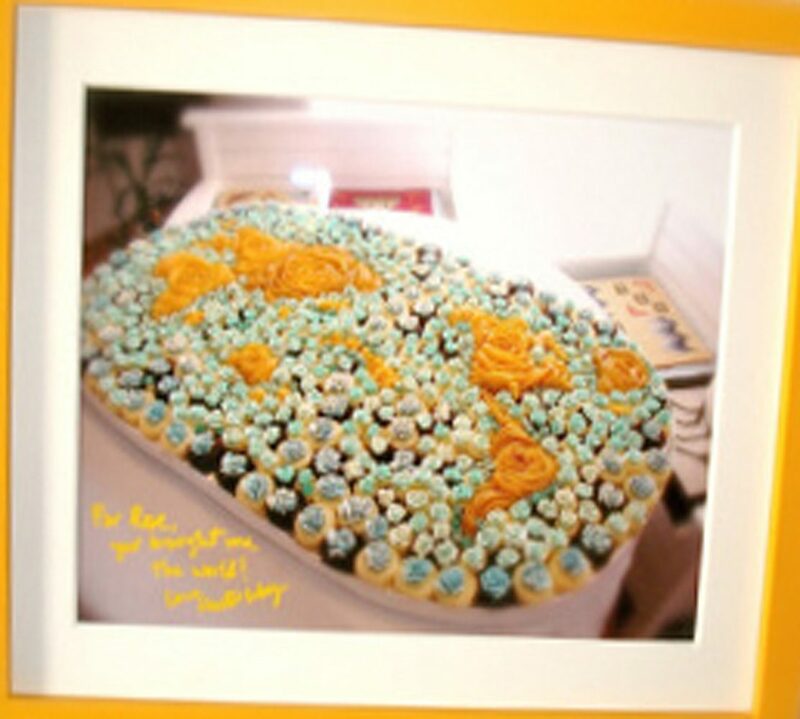 My Thermapen is en route and w ill be very glad to see it. Joann, the 5 qt artisan will work, too. Indeed that is how I do my chocolate oblivions. I’m drooling over the stainless handled ones. I purchased my original black handle Microplane from a cooking school like 15 years ago (long before they were so readily available in stores). Maybe mine isn’t as sharp as it used to be, therefore I can justify getting a new one, or two, or three. PS – I’d go with the largest grating surface for the carrots. patrincia, i know you are the queen of stainless steel as your beautiful special edition mixer is! i will disappoint to tell you that i don’t have an exact date yet for this wonderful cake, but whichever microplane you choose (except for the fine zest one), it should all work. Thanks Hector and Patricia – I will fool around with the box grater and see how it goes. 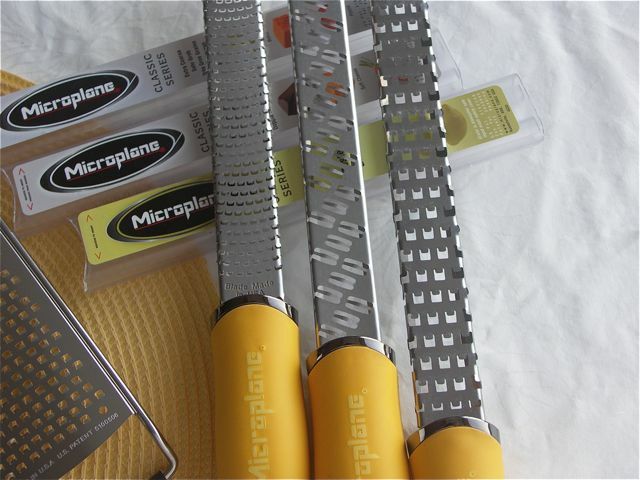 Yes, even a Microplane can eventually get dull. We just replaced our oldest one (it must be 10 years old at least and has seen a LOT of use), and the new one is definitely sharper. Although the old one still works — it just takes a bit more effort. OMG, 10 years is reasonable!